When delivered at the correct wavelength by dentists and in microsecond pulses, dental lasers can correct the enamel’s chemical composition and strengthen it. The heat generated by the laser changes the enamel’s top layer from the normal carbonated hydroxyapatite to hydroeyapatite. The latter is more resistant to the aid created by bacteria. Cavities are caused when acid eats away teeth enamel. In a study conducted by researchers in 2012, it was confirmed that remineralization of teeth could be done by laser treatment by combining with fluoride varnish. On 20 patients, laser treatments were done on one side of the mouth. The molars of the other side were left as controls. Fluoride varnish was applied on all the teeth. A year after the study was conducted; the teeth which had been laser treated showed lesser signs of average on an average than at beginning of this study. The use of prescribed fluoride toothpaste can help in saving and remineralizing teeth. However, dental lasers can ensure long-lasting advantages with a single treatment. This can be a major option for teenagers who use orthodontic braces which make brushing difficult. Fluridation results in harder enamel. Doctors who handle this type of dental lasers stay updated about new developments by reading dentistry articles. Dental laser diodes are used for inspecting teeth. Dentists utilize wavelengths for detecting decay. 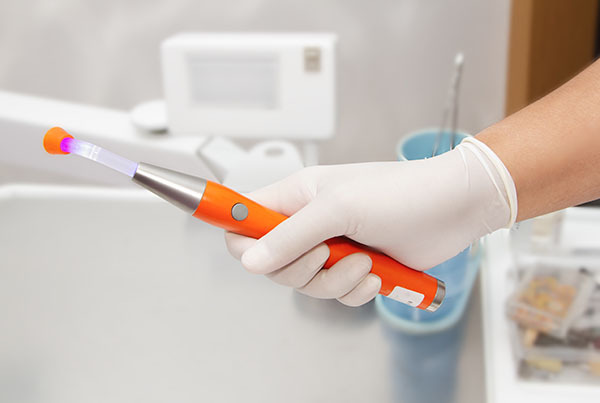 Dental lasers can find the decay much more promptly than x-ray machines. Dentists can, therefore, fill the cavity more promptly with the help of smaller fillings. The chances of teeth being saved are therefore much higher and toothaches can be prevented without the use of complex procedures. No x-rays are used in laser treatment either. The light passes through the enamel’s surface and the dentists can verify whether a tooth is in the very early stage of decay, has cracks or has decayed greatly below the enamel or not. Light reflects differently on the teeth of the patient depending on the exact quality of health they have. Common symptoms of teeth decay include cracked cusp which indicates that there are problems under old sealants. Once the laser detects a damaged spot, it delivers a digital readout which informs the dentist about the change in wavelength. It assesses the tooth density and estimates the chances of decay. A range of numbers is utilized for measuring decay status for confirming the appropriate level treatment level which will be required by the patient.